At home at "A Taste of Home"
My family attended "A Taste of Home" at the Filipino Community Centre in Petone last weekend. It's an event showcasing Filipino food and culture. But to be honest, we were actually more interested in seeing MasterChef runner up Leo Fernandez in action! 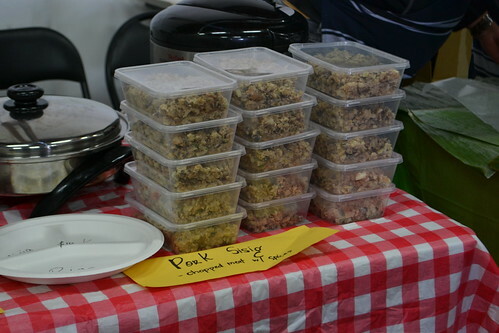 There were of course, a wide assortment of Filipino food for sale. What would a Filipino event be without food?! 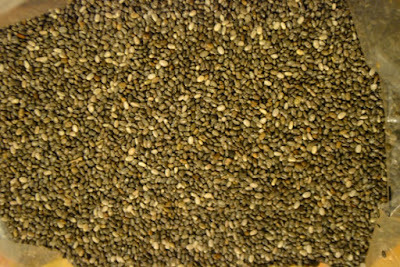 Chia Seeds are a new thing to me. I first saw this in my colleague's drinking bottle. He's from Colombia so I guess this is something that's common in their region. It actually reminds me of tadpoles swirling about as he gives the bottle a good shake before taking a couple of gulps. 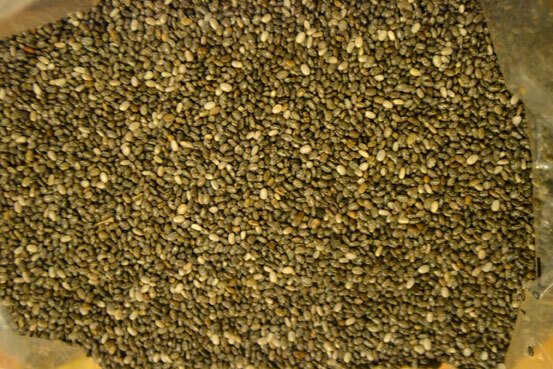 When I inquired from him what it was about, that was when I learned they were Chia Seeds and that he's taking it to help control his weight. Another interesting article can be found at draxe.com. Macaroni salad always reminds me of happy days. My Nanay would make this on special occasions, especially at Christmas time. She would always make a big batch and there would always be some left for me to snack on all throughout Christmas eve, Christmas Day, and a couple of days thereafter. 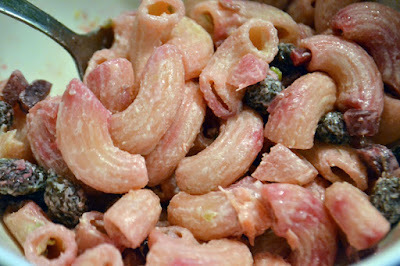 Last Christmas, I decided to start this tradition of making Macaroni Salad in our home. This recipe is easy to make, and is sure to please. One tip: make this a day in advance for the flavours to develop. Let's zoom along, shall we? In this 2-part episode in Dubai, the 4 contestants duke it out in the open dessert (that's part 1) where the boys won the round. Seriously, I cannot imagine how it is like to cook out in the dessert with the grill and frying pan on high. Especially for Kiwis, who are accustomed to the cool climate. On part 2, they headed off to the Dubai Marina to replicate a three-course dish at chef Gary Rhodes' restaurant. "It's a stunner, isn't it?" "I thought it was a more complete dish, certainly with the oil, pepper and the salt, and the seasoning"